That was marginally down on the 29.9 figure recorded for the corresponding three-month period a year before – and far less than a high of 37.8 recorded in the third quarter of 2011-12. The number of complaints for non-franchised operators was 70.6, more than double that for franchised operators, but an 18% decrease from the previous year. Punctuality and reliability of train services was the most common reason to complain, with 23.2% of complaints nationally relating to this subject – a 4.0 percentage point (pp) decrease on 2017-18. Insufficient room to sit or stand was the next highest category (up 1.4pp to 10% of the total), followed by onboard facilities (up 1.1pp to 9.6%), ticketing and refunds policy (up 1.5pp to 6.4% – the biggest increase), and online ticket sales (down 0.8pp to 4.2%). 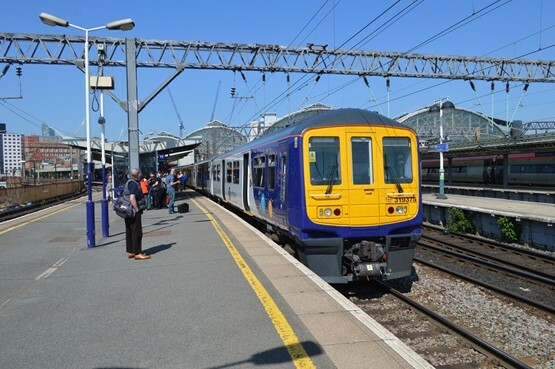 The majority of operators now answer 90% or more complaints within 20 working days, with just TransPennine Express (88%), London Overground (88%) and Northern (73%) falling below that threshold. Hull Trains’ figure of 5% should be “treated with caution”, according to the ORR, which is liaising with the open access operator regarding its data quality.